We are a full-service fabricator and installer of glass fencing, aluminum fencing, gate, and railing products. Compliment any home, yard, pool, deck, balcony, patio or porch with our hand crafted enclosures. We separate ourselves from the competition with outstanding service, field support, quality, and custom made products. We offer standard 6′ fence panels, as well as, custom-length panels to reduce costly guesswork during installation. We offer a wide variety of BOCA pool code fences that require strict safety standards. Choose from over 14 unique fencing styles and from an endless possibility of decorative arrangements. Our custom manufactured railings are commonly used on balconies, decks, porches, stairs, ADA compliant ramps, handrails and retaining walls. 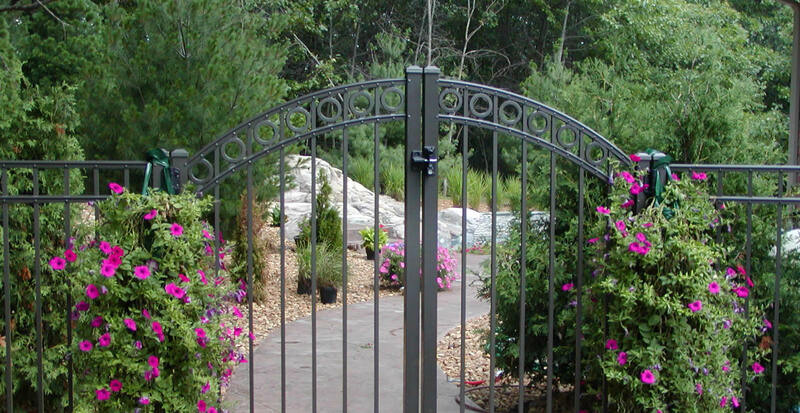 We offer hand-crafted residential and commercial grade gates for yards, entrances and pools. We are a nationwide distributor for D&D Technologies Hi-Performance gate hardware, the toughest gate hardware in the world! Our revolutionary glass railing design eliminates attachment hardware, and produces an unobstructed, more modern appearance. Our glass rail systems are commonly used on applications for patios, porches, stairs, decks and balconies. We expanded our glass fence enclosure offerings with a new design that circumvents distinguishable attachment hardware. Our unique design functions by expanding the field of view, while providing safety and security; resulting in a cleaner, clearer and more modern glass system! Fill out the form below and one of our representatives will contact you as soon as possible.